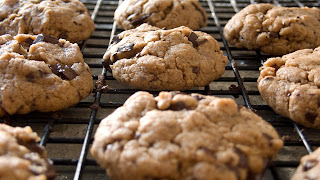 all bout food: choc chip cookies!! Crispy on the outside and chewy on the inside! !